On time, within budget and with an excellent safety record, – that’s the achievement by all involved in construction of the iconic London 2012 Olympic Games main stadium in a futuristic new parkland that has been recovered to a large extent from contaminated industrial wastelands. Chairman of the IOC Athletes’ Commission and Olympian Frank Fredericks, Olympic Delivery Authority (ODA) chairman John Armitt, London 2012 chair Seb Coe and 400 m hurdles 2012 hopeful Tasha Danvers recently laid the last piece of turf on the Olympic Stadium’s field of play, marking the completion of construction on the flagship venue. IOC Coordination Commission Chairman Denis Oswald and IOC Executive Director Gilbert Felli also took part, alongside local schoolchildren from the ODA’s Construction Crew. Construction started on the Olympic Stadium just under three years ago in May 2008 and has been completed on time, under budget and with an exemplary safety record. Over 240 UK businesses have won contracts for the construction of the Stadium and over 5,250 people have worked on the project over the past three years. 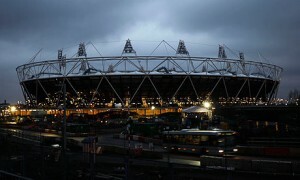 The final surface of the running track will be laid later this year by LOCOG. This is to ensure it is protected during the programme of temporary overlay including work for ceremonies which may need cranes in the field of play and could damage the track. A groundbreaking new guide to help construction professionals keep control of timescales on complex projects has been published by the Chartered Institute of Building (CIOB) and Wiley Blackwell. The ‘Guide to Good Practice in the Management of Time in Complex Projects’ authored by an international team of experts and led by CIOB Past President Keith Pickavance provides guidance on managing time pro-actively. Speaking about the publication Keith Pickavance said, “Time Management in construction projects is critical. Delayed completion affects IT, process plant, oil and gas, civil engineering, and in fact it affects all industries, in all countries, and the bigger the project, the more damage delayed completion causes to costs, and reputation. Launched in an era of ‘more for less’ the 176-page guide and its methodology will make an important contribution to improving performance. The guide was preceded by CIOB research in 2007/08 which found that for complex buildings 33% are finished on or before the completion date and 67% are late. Of those late 13% were more than 3 months and 18% over 6 months. In two-thirds of delay, the contractor was held primarily responsible. Following the research the CIOB embarked upon a five year strategy to provide standard education, training, and accreditation in time management. The first phase of the plan is to produce this guide, which sets down the process and standards to be achieved in preparing and managing the time model in complex projects. This new handbook uses a logical step by step approach to show how an effective time model can be used to manage the risk of delay to completion on construction projects. It demonstrates procedures and examples from inception and risk appraisal, through design and construction, to testing and commissioning that show practitioners the logical procedures to use. The CIOB will develop training opportunities around time management and a process to assess individuals’ competence and the value they add to project delivery. The accreditation programme will be administered by the Institute, through a mix a formal assessments, industry experience and interviews by a panel of peers. Ask anyone in the construction industry about foundations, and they will tell you that they are the most important part of a building. Yet when it comes to reducing energy in the built environment, foundations have, up until now, been overlooked. Riffat, who is also president for the World Society of Sustainable Energy Technologies, has worked with construction company Roger Bullivant Ltd to develop a modular house foundation system known as â€˜System Firstâ€™. The process is designed to replace traditional trench-fill foundations using prefabricated steel beams that lay across concrete piles. These piles are covered with polystyrene slabs which are then covered with a layer of concrete screed to create a lightweight and insulated floor slab. The System First technique is claimed to achieve an 88 per cent saving in water, a 75 per cent reduction in construction time and a 92 per cent saving in raw materials; foundation which would conventionally use 233 tonnes of cement can be reduced to 18 tonnes. The concept Â has already been demonstrated in a wide range of projects including in the BASF House, the Mark Group House, and the Solar Decathlon House at the Nottingham University Institute, in the Llanelli School extension, and in Buckshaw village in Lancashire.